Thrive Red Seedless Sliced Grapes are a fun twist on your favorite summertime fruit. 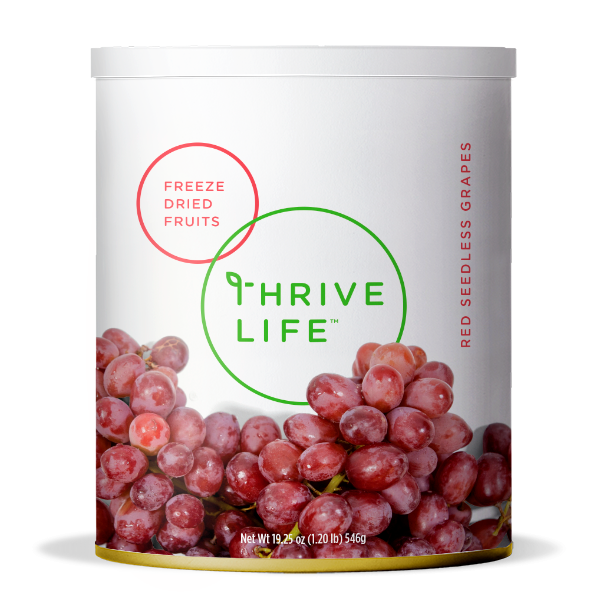 Thrive Grapes have been freeze-dried so that you can savor the juicy burst of grape no matter the season. Try adding Thrive grapes to fruit salads or chicken salad sandwiches. Spread out 1 cup Red Seedless Grapes on a plate or pan and spray with water from a spray bottle until thoroughly soaked. Wrap plate in plastic wrap and let sit at room temperature for 45 minutes. These slices are great for tossing in chicken salad and other salads to add a flavorful crunch. Plus they’re a tasty dry snack!